The second half looks like a period for oversized handsets. Will HTC join in? In other words, it sure looks like the second half of the year is going to be mostly reserved for oversized handsets. The question is: will HTC finally join this particular market segment? Today we’re going to line up some of the latest rumors regarding the future range of HTC smartphones. Interestingly enough, if all of these rumors are correct then the company will not only launch a “mini” version of the HTC One, but a phablet spin-off as well. Last year Samsung has established the trend of launching budget friendly smartphones that borrow the flagship models’ design language. That’s how the Samsung Galaxy S3 Mini was born and this year the SGS4 Mini followed suit. Apparently, HTC has taken this particular page from Samsung’s book. 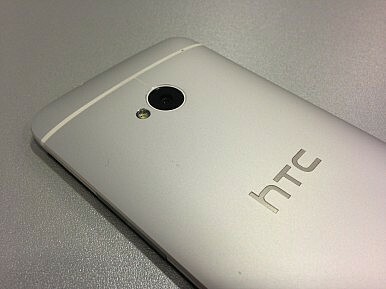 Word is that the Taiwanese manufacturer is working on a HTC One Mini. Plenty of images depicting this device have leaked during the past several weeks, confirming its existence. According to sources, the device will arrive with a 4.3 inch display featuring a resolution of 720 x 1280, a dual-core Snapdragon 400 processor running alongside an Adreno 305 GPU and Android 4.2.2. There are also going to be 2 GB of RAM on-board, 16 GB of internal storage, a 1,700 mAh battery, BeatsAudio and an UltraPixel main camera. Of course, nothing has been officially confirmed thus far so these leaked specs are subject to change, but the Mini seems to be in its final stages of development. As far as availability goes, sources from HTC’s supply chain have recently confirmed that the handset might get released within the same time-frame as the Galaxy S4 Mini. This means that the HTC One Mini should go on sale sometime this quarter. Other bits and pieces of information have pointed towards an August release, though an exact launch date has not yet been speculated or revealed. While the One Mini shapes up to be a very interesting alternative to the SGS4 Mini, the handset is hardly a flagship smartphone, let alone a phablet. Meanwhile, the HTC Butterfly and Droid DNA have a pretty large display, measuring 5 inches in diagonal, but judging by today’s standards, those are hardly phablet-worthy screen dimensions. Nevertheless, the latest rumors have brought back to life the idea that HTC might work on a 6+ inch smartphone. Dubbed the “HTC One Max” or the “HTC T6“, this mysterious device has lately begun making the rounds more often than not. It only makes sense for HTC to release such a device, considering the amount of large-screen smartphones that have been announced this year by rival companies. Spec-wise, the HTC One Max is rumored to pack a 6 inch 1080p display, a Snapdragon 800 SoC running at 2.3 GHz, an Adreno 330 graphics chip and 2 GB of RAM. Allegedly, the handset will feature Bluetooth 4.0 connectivity, will pack an UltraPixel main camera and the entire package would be powered by a 3,300 mAh battery. More interestingly, the T6 is said to boast dual-SIM capabilities and LTE-Advanced compatibility. Last, but definitely not least, sources claim that the HTC One Max will arrive with the fabled Android 5.0 Key Lime Pie out of the box. As for availability, the HTC One Max / T6 will allegedly hit the shelves by the end of the year. Nevertheless, we shouldn’t forget that Key Lime Pie might not go live by the end of 2013, so evidently, details are still a bit fuzzy at this point. So there we have it. HTC may have received enough financial and moral boost, thanks to HTC One’s success, in order to expand its horizons to never-before explored shores. Nevertheless, although the launch of the HTC One Mini is almost certain, the One Max still remains shrouded in a thick layer of mystery and uncertainty. Would you like to be able and buy an HTC designed phablet? Do you think the Taiwanese manufacturer has what it takes to go head-to-head with Samsung, Sony and LG? Let us know in the comments section.